Heading up an eCommerce business can feel like a brave new world every day. Total industry growth is awe-inspiring. According to data from Statista, global eCommerce sales will hit £3.2 trillion in 2021—that’s a jaw dropping 246% increase in online revenue from 2014. And all that growth is coming hand in hand with changes, too. From the Internet of Things and virtual assistants like Amazon Echo, to voice search and the ongoing boom in mobile commerce, to virtual reality in-store and delivery by drone, there are some big changes afoot. But at the same time, it’s not always clear where to draw the line between genuine game-changers and industry hype. 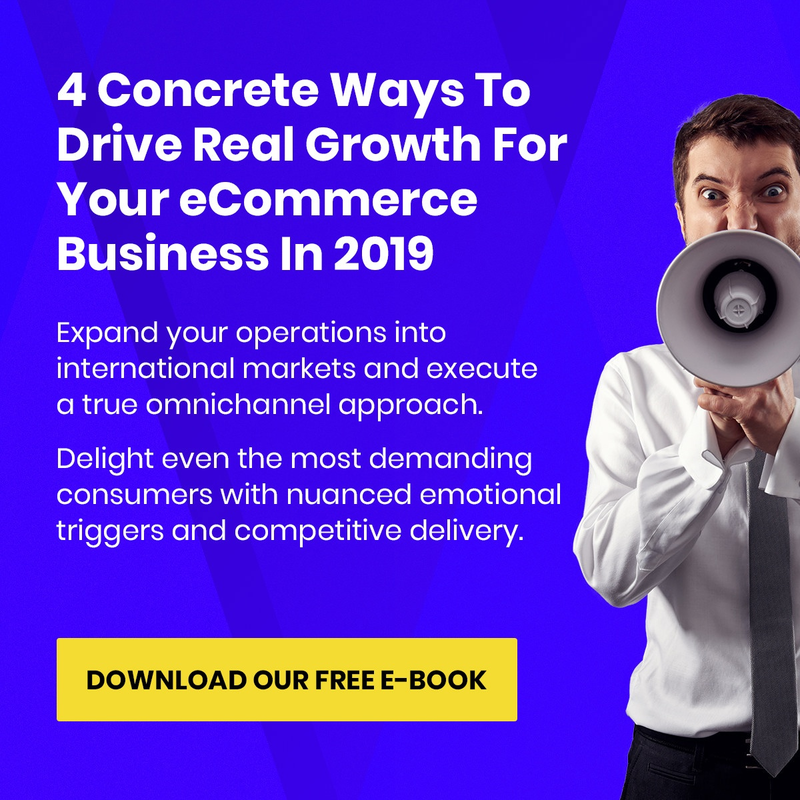 Here’s our quick guide to three of the core trends making a true impact on the industry in 2019, and what they really mean for retailers right now. Whether it’s delivery by airborne drone in under 16 minutes, a ‘Dash’ service that delivers over 150 brands direct to consumers’ door at the literal press of a button, or even the zero checkout brick and mortar stores of Amazon Go, the retail goliath aren’t slowing down. And like it or not, Amazon are taking the UK retail market with them in 2019. A massive 88% of consumers are now willing to pay for same-day or faster delivery, and 40% say they’d happily take delivery by drone (PwC, Consumer Insights Survey 2018). But that won’t make 2019 the year every other e-tailer burns their margins in pursuit of free delivery. Yes, convenience is now a fact of life in modern e-commerce – but not at any cost. Building a competitive delivery system still comes down to more than raw spend. We’d recommend E-Commerce businesses keep their eyes on the prize; nailing your core operations with the right partners, precise margin calculations, and the right staff management will go a lot further than a team of drones. You might be shocked to see ‘omnichannel’ retail on a 2019 trends list. But despite being ancient as far as industry buzzwords go, omnichannel remains “one of the last frontiers of digital marketing”—and of E-Commerce itself (eConsultancy). Partly that’s down to the continued growth in channels. Achieving an omnichannel operation—unifying multiple channels to create a seamless customer experience—is a major investment at the best of times. Let alone when retailers are chasing down all the individual channel opportunities springing up. Mobile commerce alone has doubled since 2010 and is set to surpass desktop buying (PwC). Meanwhile other channels are growing fast, with early adopters driving native shopping on social media platforms like Facebook, and brand new tech like virtual assistants and voice search opening new ways to engage consumers. So is investment in omnichannel really a winner? The short answer is ‘yes’. This is one trend we’re backing all the way. Getting omnichannel operations in place paves the way to the seamless customer experience that 77% of shoppers are calling out for (McKinsey), meaning businesses who embrace this shift will reap the rewards. 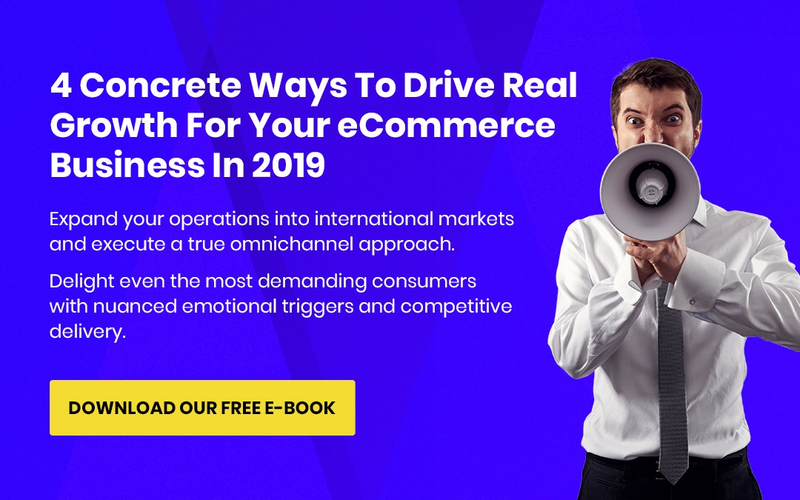 With benefits ranging from smarter marketing to massive savings in the warehouse and logistics, omnichannel really does represent the future of E-Commerce. While it’s easy to get caught up in all the shiny new tech, there are other areas where the industry is making strides—modern consumer psychology is getting smarter all the time. Put these two together and there’s real potential for retail businesses to win consumer’s hearts and take their E-Commerce strategy to a whole new level. Could using simple storytelling increase the amount consumers will pay for a painting by a full 11%? But while these results do seem incredible, the truth is using emotional strategies isn’t all that revolutionary. You’re already tapping into consumer emotions every time you launch a sale, offer loyalty points or share your contact information. Chances are your E-Commerce trading team are already experts in the field of emotional strategies. So expect businesses to get smarter about using emotional triggers, but expect the results to be stronger growth rather than industry transformation. There you have it, three of the core trends driving change in E-Commerce this year. This list is by no means exhaustive, but we do think it pulls the hype from the genuine game-changers. Ultimately, it’s a focus on concrete results that sets successful brands apart. Retail businesses that keep their focus sharp and target strategies that deliver measurable ROI will be the ones that succeed in 2019—just like any other year.